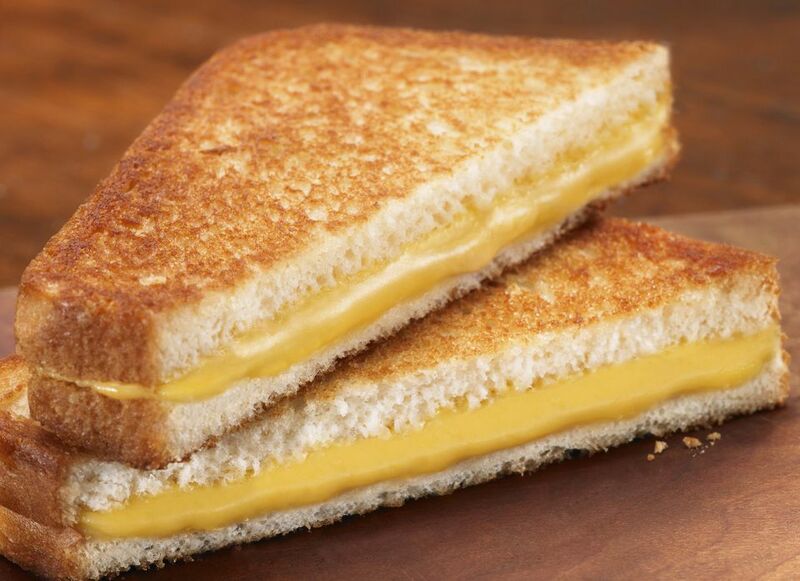 A grilled cheese sandwich is an easy lunch for kids and adults, You can make it with vegan cheese if you are eating dairy-free or eliminating animal products. Making a delicious vegan grilled cheese is dependent on two things—the bread and the vegan cheese. Try a few different brands to find the ones you like best; three of my favorites are Follow Your Heart, Daiya, and Teese. With Daiya, you have a choice of their Daiya shreds or slices. Another choice that emulates American cheese slices is Earth Island American Style Slices. Your choice of bread is also important for making a great vegan grilled cheese sandwich. You don't have to use sourdough, as in this recipe. A whole grain dairy-free bread will add even more texture. Whatever bread you choose, it should be about 1/2 inch thick in order to not dry out when grilled. This recipe uses olive oil for pan-frying. If you want a buttery flavor, try using a vegan butter instead. Place about 2 ounces of dairy-free cheese, shredded or in strips, on top of four of the bread slices, then top with the remaining four and press the sandwiches together firmly. Lightly oil a non-stick cooking pan with olive oil, then place it over medium-high heat and add the sandwiches. Cook each sandwich until the dairy-free cheese is melted and the bread is golden brown on both sides, about 2 to 3 minutes per side. Serve warm. This basic grilled cheese sandwich pairs well with a salad or a cup of vegan tomato soup, perfect for dipping. It's a satisfying comfort food lunch on a rainy day. This recipe is suitable for dairy-free, egg-free, and vegan diets, but as with any recipe intended for persons with allergies or dietary restrictions, make sure to read all nutritional labels carefully. Search for any hidden dairy-derived ingredients (or other allergens, if these apply to you).